Rumors about the iPhone SE2 are circulating all over the wire. Recently, a leaked advertisement from a carrier in the United Kingdom hints the budget-friendly smartphone’s release is just around the corner. According to Deccan Chronicle, a Twitter user named Ben Geskin was the one who uncovered the said advertisement from a distinguished carrier in the UK. Geskins tweet also gave some idea of what Worldwide Developers Conference (WWDC) 2018 might have in store for budget-friendly smartphone searchers. 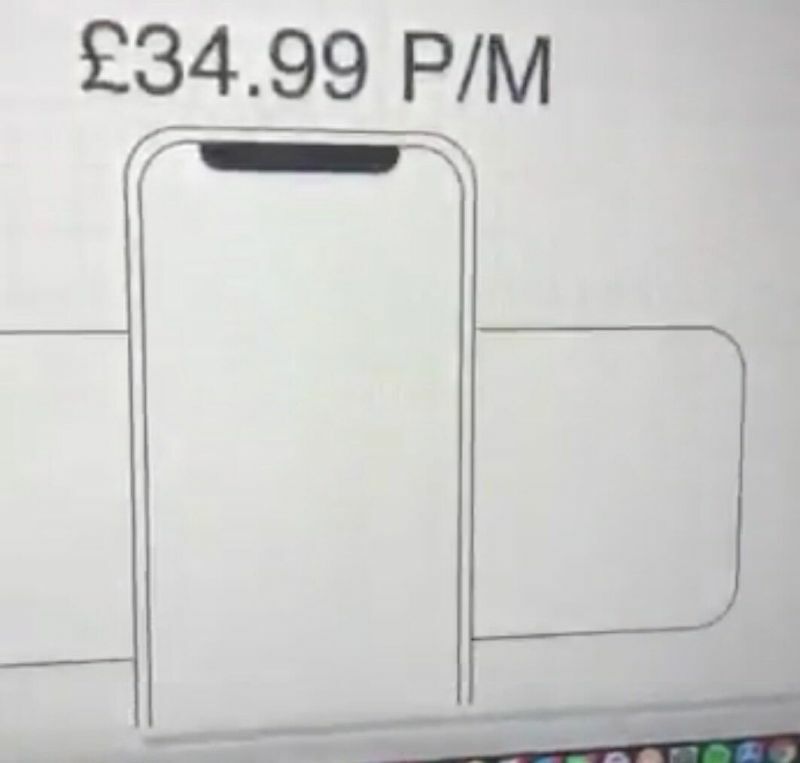 It is worth emphasizing that the advertisement shows an iPhone SE 2 complete with its logo and some illustrations; the latter ratifying to the leaks uncovered formerly. The iPhone SE successor will feature a notch with the likelihood of flaunting a FaceID system. This device’s bezels will also be kept under check and is similar to the iPhone X. Aside from the smartphone’s design, the advert also hints the availability date of this much-rumored handset. The draft date was placed at the corner of the poster suggesting that the announcement will be issued by June 15, 2018, signifying month-end obtainability for the iPhone SE2. Moreover, the carrier will also offer the iPhone SE successor under 34.99 Euro per month contract. In this contract, the users will be capable of getting the benefits of extra mobile data and a free AirPower Mat. In case you were to ask if this also hint towards the presence of wireless charging in the upcoming budget-wise smartphone from Apple, then let’s just have our fingers crossed. 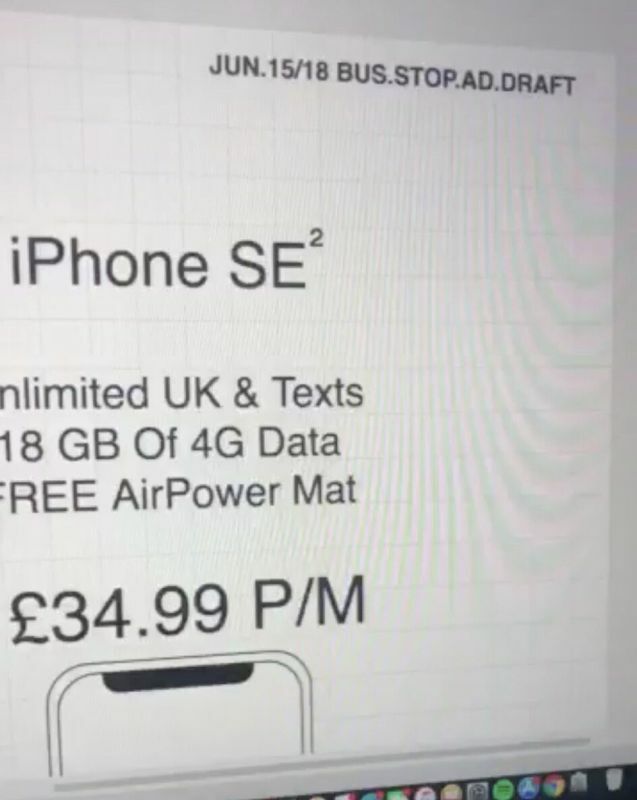 Despite this leaked advertisement from a carrier in the UK, Apple is still mum about the iPhone SE2 details. With that being said, the fans of the Cupertino-based tech company are still advised to take the aforementioned information with skepticism. Hopefully, as the WWDC 2018 event starts, we will see the iPhone SE successor take the center stage.